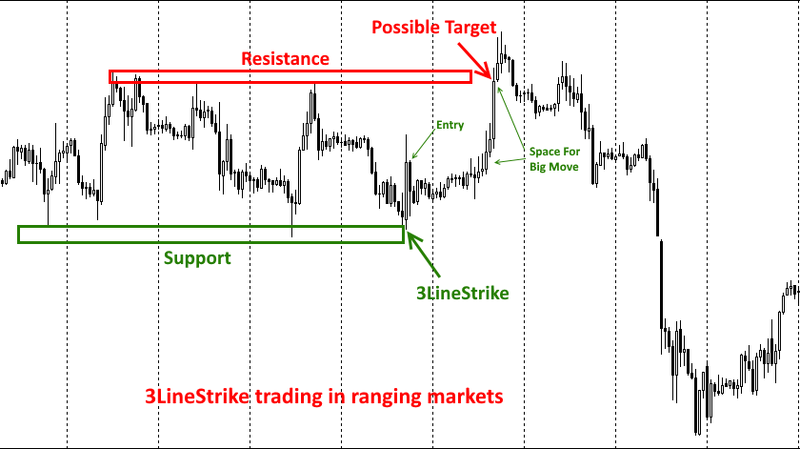 The indicator automatically checks different trading instruments and timeframes for occurrences of the 3-Line-Strike pattern. It can alert you via MT4-alert or via email. You don't need to scan the charts manually anymore! 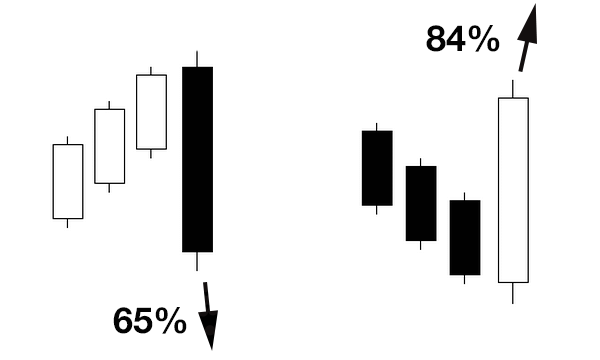 The bestselling author and candlestick guru Thomas Bullkowski researched that this pattern has a winning percentage between 65% and 84%. Especially the signals of the higher timeframes are the most reliable. 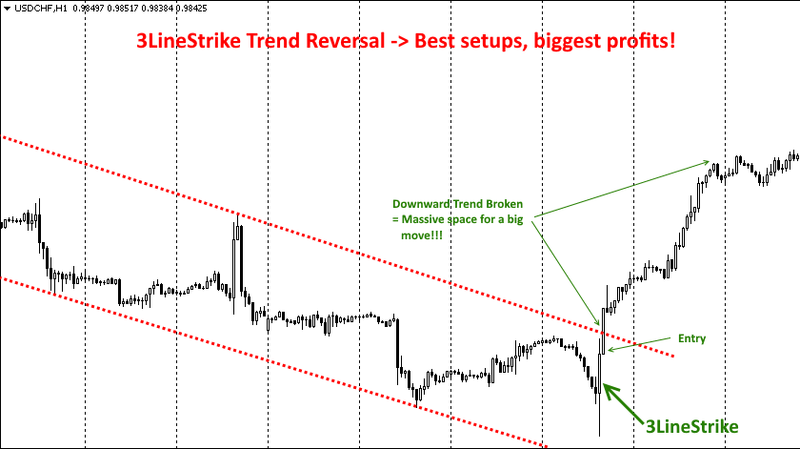 The following screenshots are showing some trading methods with this kind of reversal pattern. The most important part for all trading methods is: Before you open a position, you should check if there is enough free space for a subsequent move into the anticipated direction. This means that you should never sell at a support level and never buy at a resistance level! 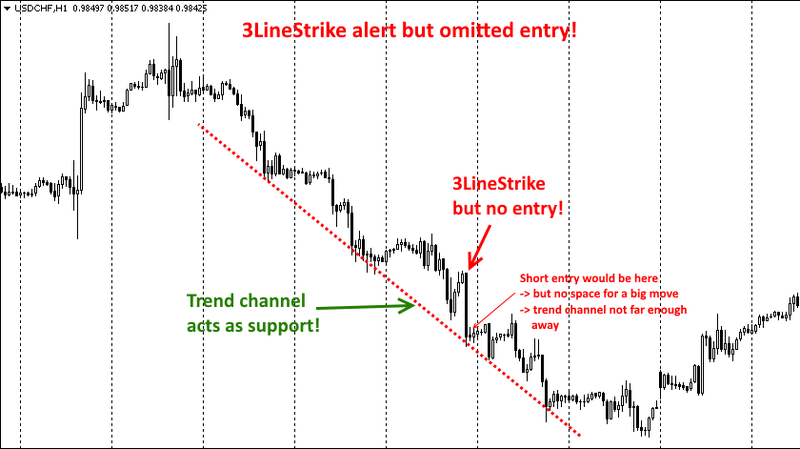 - You should use a white background for the chart which contains the indicator PTS_Alerter_3LineStrike. - After a signal occurs you can then press the button on the chart which carries the name of the corresponding trading instrument. A chart will open with the template which you configured in the parameter "templateName"
- If you are interested in the signals of the smallest timeframes M1 then you should run a second instance of the indicator (on a second chart). 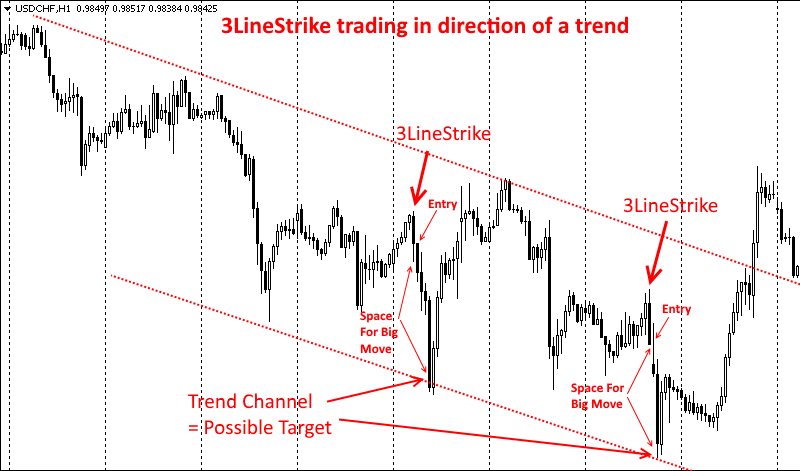 On this second chart you should configure the indicator to check only the timeframe M1. You should do this because then the iteration of trading instruments is the fast and you will get alerted as soon as possible. If you configure only one timeframe then an iteration through 30 trading instruments will take 30 seconds. 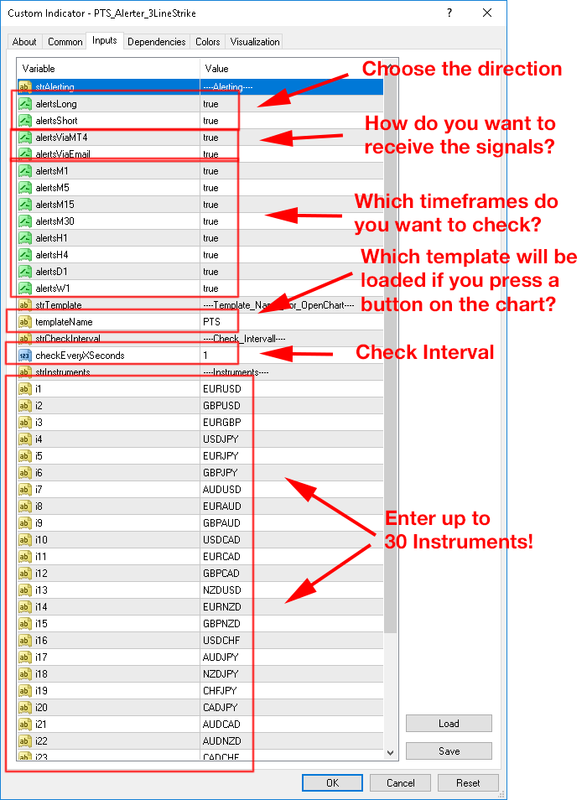 If you enable the checking of all 8 timeframes then on iteration takes 4 Minutes (30 x 8 x 1 seconds) which is far too slow for the M1 timeframe.